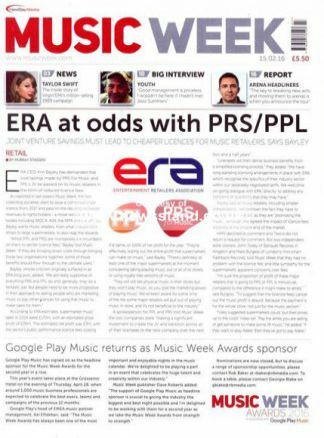 Music Week has been the voice of the music business for more than 50 years.Now it is building on that legacy with a series of changes to ensure it provides a service for the needs of a rapidly evolving business.The emphasis of our work is on providing the information, insight and analysis essential to understanding the digital environment, todays global market and fresh opportunities in live and recorded music. This process has begun this year with:	More in-depth analysis and research, widely followed up by the national media 	Support for initiatives and conferences around the world focused on new directions for independent business 	Increased coverage of new talent, digital business and the live sector 	New data services, focused on International, airplay and online buzz 	The expansion of our Breakout nights showcasing new actsFor unlimited access to Music Week and musicweek.com and other exclusive content, you now need to subscribe and there has never been a better time to subscribe to Music Week. 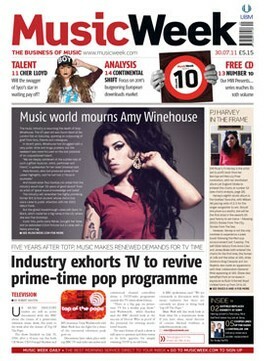 Only subscribers receive exclusive access to: 	Unlimited access to musicweek.com	Weekly print edition	A digital version sent to your inbox every Monday morning	The Music Week directory	Daily newsletter	Free iPad and iPhone apps	And other new media servicesDigital only package also available Digital Package rates are inclusive of VAT.